In my quest to find new places to put on my bucket list to visit, I was surprised to learn that you can visit the Red Sea. It’s not only a great place for a family holiday but for longer extended trips thanks to it’s history and culture. Visit The Red Sea? Where is The Red Sea? If you’re like me, you probably know about the Red Sea from T.V. 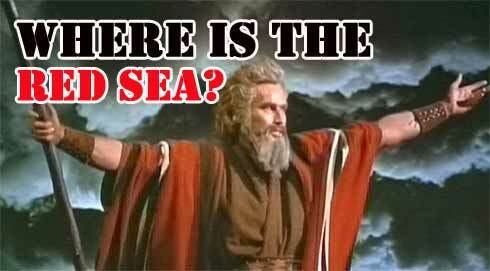 or the movie “The Ten commandments” where Charlton Hesten, who plays Moses, parts the red sea. It’s probably the most iconic and often parodied moments in film history. Sadly, that’s where my knowledge of the Red Sea ends. Be honest! Do you even know where the Red Sea is located? If you do, great. You get a big A+ for doing all your homework in school. If you don’t, don’t worry you’re not alone. Many people know of “The Red Sea” but if shown a map would not be able to point it out. Have You Heard Of Sharm El Sheikh? I’m not here to give you a geography lesson or test your movie trivia skills or even test you on your biblical knowledge. I simply want to introduce a new place that you may not have considered for your next trip. Maybe even your next long term travel plans to slow travel through this region. It’s called Sharm El sheikh in Egypt which is located on the southern tip of the Sinai Peninsula along the coastal strip of the Red Sea. If you are unfamiliar with the term slow travel let me quickly explain. The purpose of slow travel is the opposite of the quick holiday you take during a rushed break from work. The ethos of slow travel is all about savouring the beauty of a foreign land and revelling in the feeling that you’ve come to know a place a bit better than most tourists do. Which brings me back to Sharm El Sheikh, sometimes referred to as “City of Peace” because of the numerous times the international peace conferences have been held there. Sharma is a great place to explore the philosophy of slow travel. What’s there to do in Sharm El Sheihk? Prior to 60 years ago, Sharm El Sheikh was nothing more than a small fishing port. Long-term travellers and slow travellers in this region will be delighted with the wealth and wide variety of activities.Sharma has become one of the premier diving and desert adventure destinations for holidaymakers worldwide. The heart of Sharm El Sheihk is Naama Bay which is packed with wonderful restaurants, bars and cafes. Divers are able to swim alongside a variety of fish species in crystal clear waters in the healthy, thriving reefs offshore. The reefs at Tiran and Ras Mohammed are recognized as world-class diving spots. If sunken treasure is more your style, there are wrecks in Dunraven, Thistlegorm and Abu Nuas. Those who take their time (slow travellers), in Sharm El Sheikh will also be able to delve into rich archaeological attractions. St. Catherine’s is a monastery built around a 4th century chapel, which some believe was the site of the burning bush from the Old Testament Bible. Explore sandy stretches of desert and, if you’re feeling especially intrepid, you can climb the peak of Mount Sinai to watch the sunrise. You can also visit the beautiful Coloured Canyons, which are a maze of sandstone rocks. Consider riding there on a Sinai-bred camel – with a guide, of course! The Red Sea’s warm water is great for swimming with miles and miles of beaches. There are also a whole host of beach activities to do such as parasailing and wind-surfing. The weather is predictable and warm all year round, making it an excellent spot for outdoor activities for the whole family. After a long day outdoors, retire to the Naama Bay promenade, which has a festival-like atmosphere at night, and is filled with delicious cooking smells. Egypt’s national language is Arabic. Whereas someone on a brief holiday might only learn how to say “hello” and “thank you,” as a long-term traveller you have the opportunity to go beyond just learning “hello” and “thank you”. The best way to learn any language and feel more like a local is to immerse yourself in everyday life and try to use new words in practical situations. Sharm El Sheikh has a desert climate which can have a dehydrating effect so be sure to drink lots of water. Egypt is a place long steeped in mystery and it has attracted countless visitors over the years. Sharm El Sheikh combines the historical appeal with a modern sensibility – found in the large number of luxury hotels and smart restaurants in this Riviera town. If you take the time to understand the local culture and way of life Sharm will reward you with wonderful memories totally different than your typical trip to more popular or well known destinations. 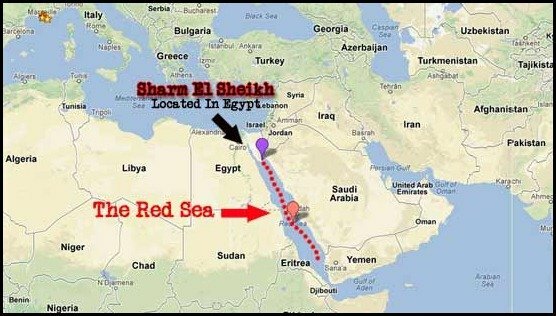 Did You Know Where The Red Sea Was Located? Would you Visit Someplace like Sharm El Sheikh? Leave your comments below.